Philip Hammond has ditched plans to increase National Insurance contributions for the self-employed yesterday, in a humiliating U-turn just a week after the measure formed the centrepiece of his first budget. 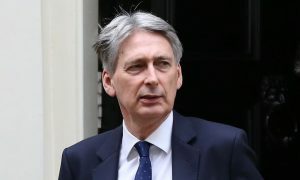 The chancellor signalled the abrupt change of heart in a letter to Conservative MP Andrew Tyrie, the chair of the treasury select committee, following a revolt by backbench MPs that Hammond had proved unable to quell. Both the Treasury and No 10 insisted the decision, which leaves a £2bn hole in the chancellor’s budget plans over the next five years, had been taken jointly by May and Hammond. But at Westminster on Wednesday night some MPs insisted May had ordered her chancellor to drop the plans, fearing that breaking the party’s manifesto pledge to make “no increases in VAT, national insurance contributions or income tax”, would do too much damage to the Conservatives’ reputation. Class 4 NICs, the rate paid by self-employed people, were due to rise from 9% to 10% next April and 11% in 2019, to narrow the gap with employees, and prevent the tax base being eroded as self-employment becomes more widespread.